This morning it rained, and the afternoon was gray and mild. The past week the weather’s been up and down. For a few days, it felt like the middle of winter. Then it backtracked to early fall. November’s like that every year around here. This November, my mother and father are both 91. And a half. More than a half. They’ll both be 92 in January. I’m 65, and most of the time I don’t think about how old I am. I don’t mean that I forget my age in any literal sense. It’s just that, lucky for me, I can still do most of the things I’ve always done. The only thing that regularly reminds me of my age is the mirror. On the other hand, Mom tells me that the nineties are a whole other proposition. You can’t be that old and not know it. Your body is constantly reminding you. This afternoon, I called her and asked if she’d like to take a walk. “Oh, yes,” she said. I told her I’d be over soon. She and Dad live around the corner. It takes about two minutes to walk to their house. 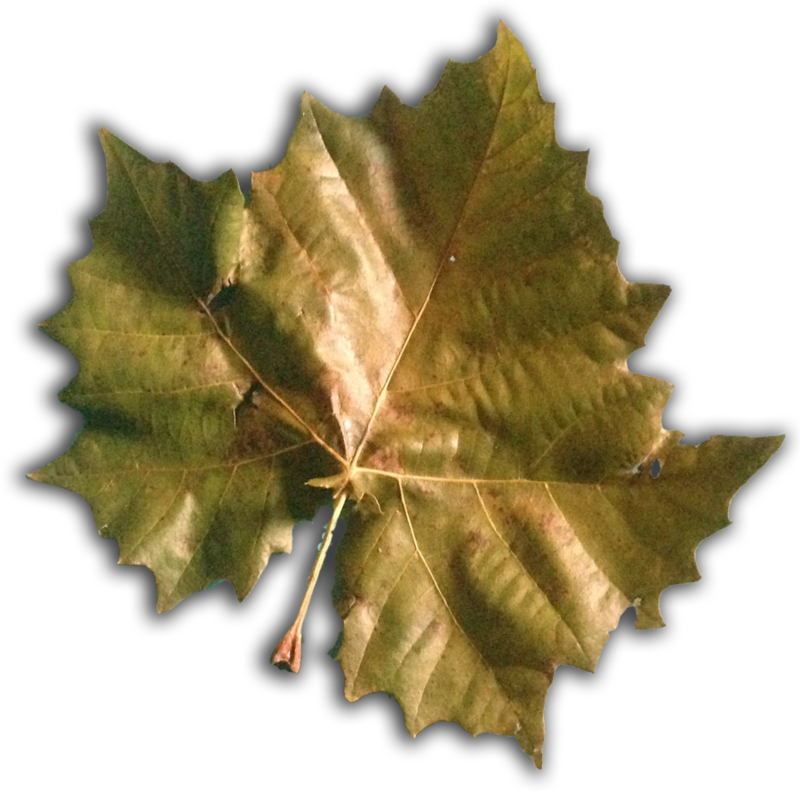 On my way up the street, a huge olive-colored leaf skittered across my path on a sudden gust. In spite of recent frosts, it was almost completely intact and just shy of being dry. I picked it up by its generous stem and carried it along to their house. My mom called out “hello!” in her usual musical way (hel-LO-oh) when she heard the screen door slam. She was in her study, writing an email on her laptop. I answered “hello” quietly when I realized that Dad was asleep in the next room. I handed her the elephantine leaf, and she drew in her breath as she took it. Cradling it in the open palms of both hands, she said, “Oh, thank you,” as much, it seemed, to the beautiful leaf as to me. The leaf accepted her praiseful wonder in gentle and dignified silence. Dad was still napping when we set off for our walk, slow footsteps tracing our path around the block. The afternoon was quiet in the way that cloudy days without sun and shadows can feel. Less contrast. Softer. 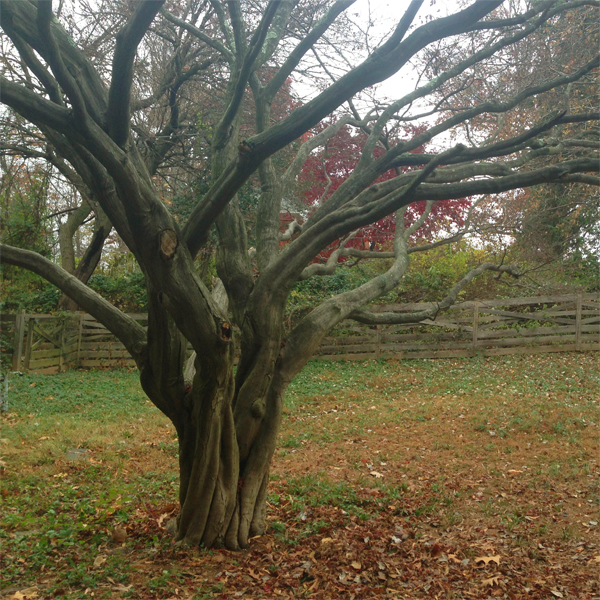 Our recent nights of frost have loosened most of the leaves’ grip from their branches. The winds and the rains have swept them down. And most of the leaves on the ground are brown. But not all. 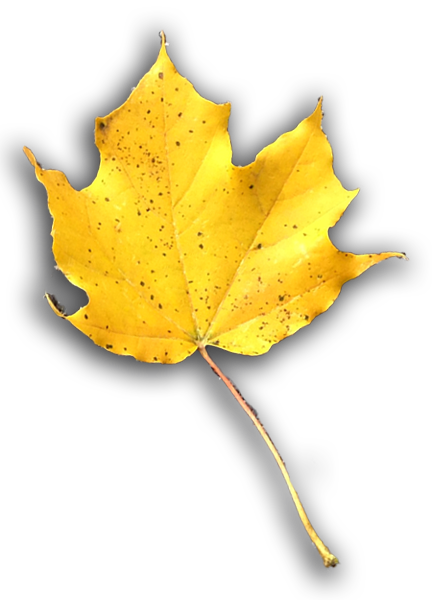 As we rounded a corner, a bright yellow leaf presented itself on the road before us. I bent over and grasped its delicate stem between my thumb and two fingers. The past few weeks, Mom’s been collecting leaves, pressing them under glass and between the pages of books. She’s planning to use them to decorate the table on Thanksgiving, to scatter them across the tablecloth as if they’d just shaken loose from a tree. “Let’s keep it,” she said as I handed it to her. 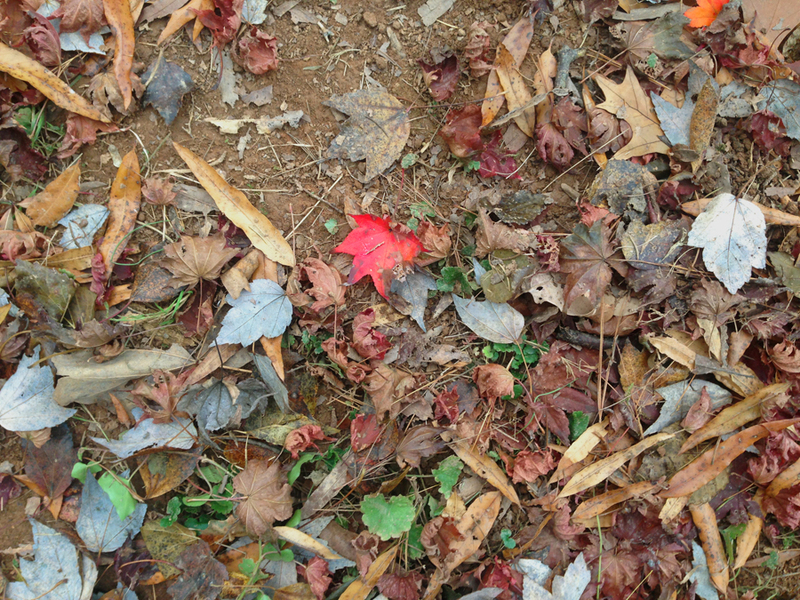 And then, almost immediately, we spotted another perfect leaf, this one deep red. She leaned over and picked it up herself. 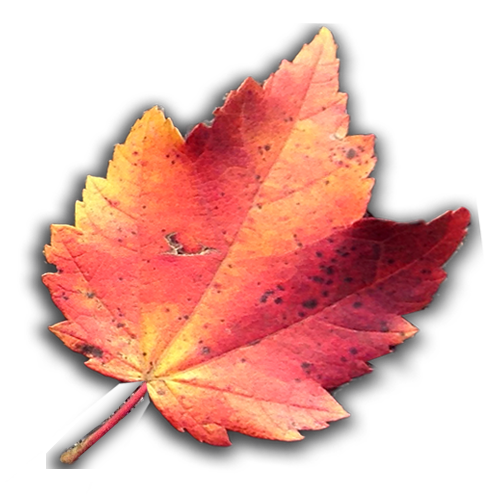 Soon we were leafspotting nonstop, both of us stooping and rising and exclaiming over each treasure. “I’m amazed that you can still bend over and get up again like that,” I said to her. “I guess you could,” she said, continuing to add one leaf after another to the growing collection she held in her free hand. Some of them were bright. 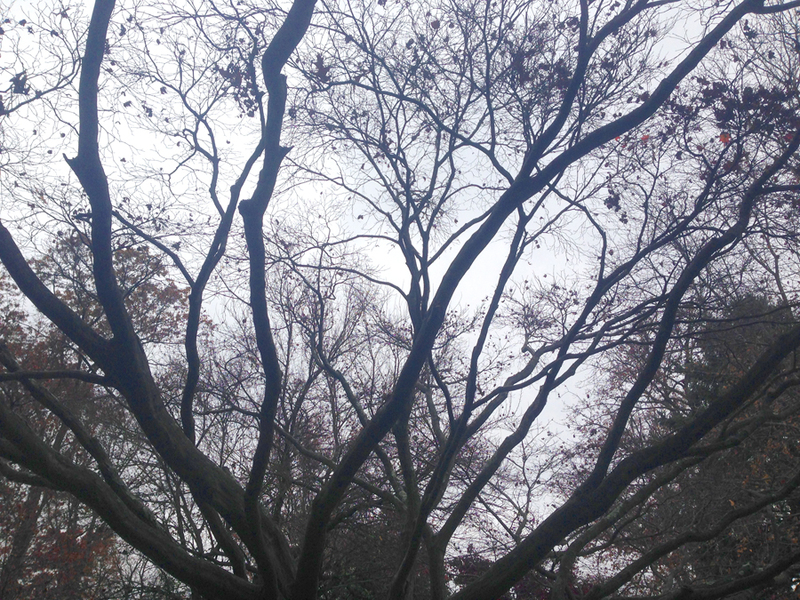 Others were drab, but exquisitely shaped. Each was added carefully, larger ones to the bottom, smaller on top. Around the next corner, we came upon another huge leaf, clearly a close relative of the first one I’d found. I jogged the few steps to it, to try to secure it before a stray breeze could grab it first. Got it. Where did these gigantic leaves come from? We turned in circles, scanning branches for matching shapes. That tree over there? Maybe. We stood talking for a few minutes at the bottom of their driveway, always so much to say. Opening the door to the kitchen, we could see Dad coming in from the other room. “Did you just get up?” Mom asked. “No, I’ve been up for awhile,” Dad said. “I didn’t know where you were.” His forehead was furrowed. He looked worried. But then he saw the leaves in her hand. “Those are stunning,” he said. This entry was posted in aging, family, gratitude, home, inspiration, kindness and tagged #family, #familylove, #generations, #gettingolder, #gratitude, #home, #inspiration, #kindness, #shygirl. Bookmark the permalink. Hi Susie: Thanks for sharing your walk. Last year, I walked our Oregon neighborhood and picked up leaves, pressed them, and send them to a friend. 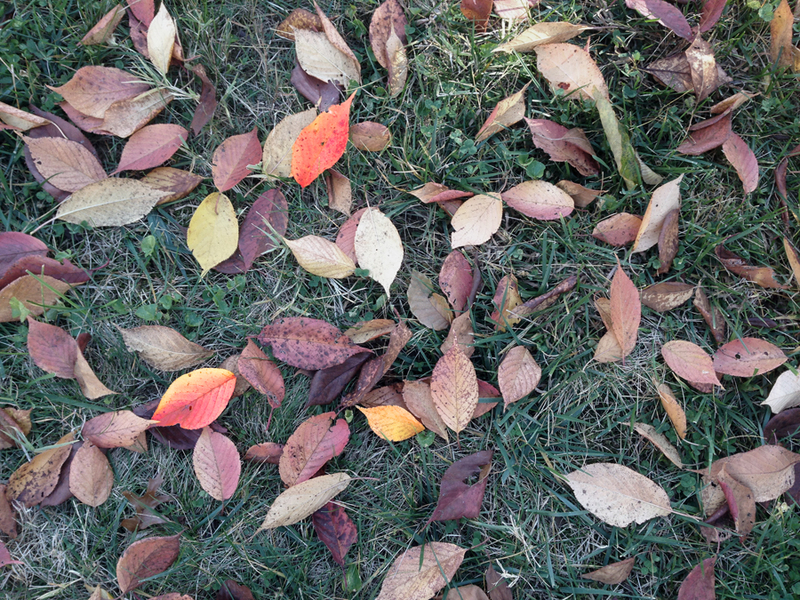 It’s lovely to share leaves and pieces of our lives. We are so lucky to still have our parents with us. Every day is a gift! Yes, we are. You’re so right — I feel it deeply. All best wishes, Marianne! Thanks for this! My friend Marie was insisting that the yellow leaves are brighter on a cloudy day. I don’t understand this, but maybe she’s right. Hmmm. Maybe so. They were certainly bright yesterday.